It happens – and often – that Technopolis Pulkovo becomes a venue for some really fascinating events! For instance, on November 24 some of its residents stayed at work till 9 pm to enjoy the Virtual Reality Smart Talk. That’s right, it was all about VR that evening! The dedicated, enthusiastic speakers shared with the participants the most recent trends in the industry. Ivan Martynov, VR ideologist and founder of the first VR stores and VR cinema in Russia, spoke about the history and future of the technology, its national and international marketability, VR gadgets and profit opportunities. Andrey Razumets, founder of Vortex Games, presented VR as the future of eSports. It turned out that a prototype of the 5D cinema called Sensorama was created as early as in the 1950s. The image was shown on a primitive screen, along with some simulated smells and wind. Sadly though, at that time the costs were too high for the project to have any commercial demand. It was only in the XXI century when components have become available. In 2016, we finally live in a world where virtual reality is just around the corner: 5D simulators have started to appear in shopping malls, the consumer versions of VR Oculus Rift, Samsung Gear VR and HTC Vive are soon to enter the market, and social media seek to integrate with virtual reality. In 2016, the VRTech venture fund was established in Russia to invest in VR startups, and Russia recognized eSports as an Olympic discipline. 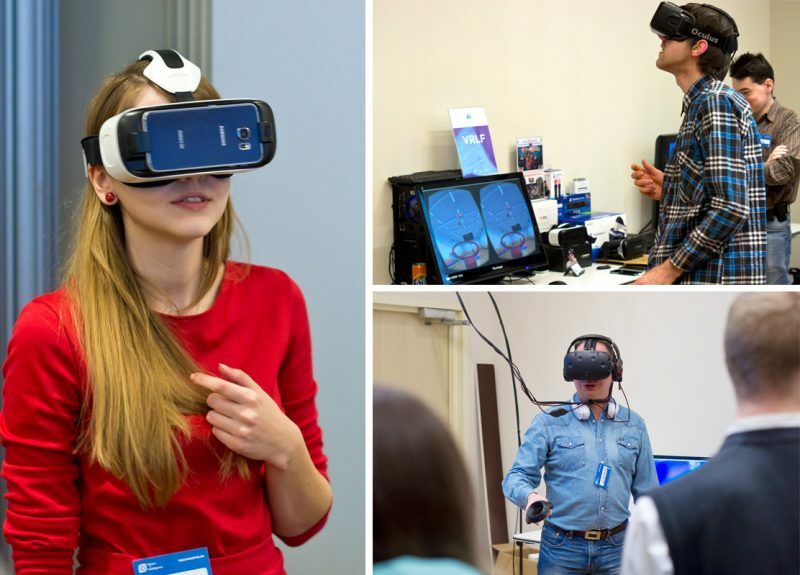 To move from theory to practice, everyone had a chance to test the VR helmets (including VR Oculus Rift, Samsung Gear VR and HTC Vive) brought to the meeting by Return on Intelligence together with Vortex Games and a future gadgets online store VRLF.ru. And the sports fans took part in a game of virtual basketball – naturally, with real prizes.